Title: 08/15/1991 - Hazard Communication and Consumer Products. This is in response to your memorandum of May 15 requesting clarification of the application of 29 CFR 1910.1200 to retail establishments which use consumer products for cleaning purposes. This is also in follow-up to several telephone conversations between our staff members on the specific case involved, Safeway, Inc., Store #914, for which a hearing date of August 13 has been set. Your memo requested National Office guidance regarding citation strategy and litigation priorities for violations of consumer product use in a workplace which is not specifically exempted under 1910.1200(b)(6)(vii), i.e., employee use of consumer products which is of a greater frequency and duration than normal consumer use. 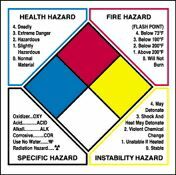 The performance-oriented nature of the Hazard Communication Standard (HCS) makes it difficult to draw clear, exacting lines for the number of times a consumer product can be used in a workplace before the provisions of the rule apply. However, where an employer is uncertain whether the duration and frequency of exposure to these products is comparable to that of a consumer, he or she should "obtain or develop the MSDS and make it available to employees" (see 52 FR, pg. 31862, August 24, 1987). It is the employer's responsibility to assess his workers' exposures and determine if and when the requirements of the standard apply. During the course of an inspection, it is imperative that the compliance officer document that any employee use of a consumer product containing hazardous ingredients at his or her workplace is of a "frequency or duration" that clearly exceeds what a reasonable person would concede to be "normal consumer" use in a home or household environment. Situations where employee use of a product is close or similar to the way or to the amount of times a consumer could be envisioned to use a product should not be cited as violations of the HCS. 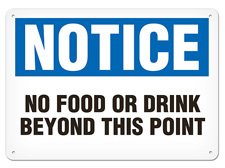 Communicate workplace hazards with handy labels from Safety Emporium. It is important to note that the use of consumer products can be hazardous. The fact that a product is labeled in accordance with the provisions of the Consumer Product Safety Act and exempt from OSHA HCS labeling,does not render that product "safe" to use by workers. This is especially pertinent when, as a condition of employment, an employee must utilize a (hazardous) consumer product with a greater frequency and resultant greater duration of exposure than what is typical of a normal consumer or household use. In these situations, the employee has a "right to know" about the hazards of the chemicals he or she is expected to work with and therefore is exposed to. This is the obvious intent of the standard with regard to workplace consumer product exposure. We have been advised by the Solicitor's Office that in cases involving employee workplace exposures to hazardous consumer products, the employer has the initial burden of proving that the product is used in its workplace in a manner contemplated by the exemption language of 1910.1200(b)(6)(vii). That is, the employer must demonstrate that the consumer product is used by employees in the same manner as normal consumer use and that the duration and frequency of exposure is not greater than that experienced by the general public. Employers must be able to demonstrate that an employee is using, for example, a can of sink cleanser with the same frequency or duration of use as would be expected at home. If it is the employee's job to clean sinks all day, or part of the day, with such frequency that is greater than one would be expected to be experienced at home, then the employee is entitled to the hazard communication information available through the MSDS and required employee training provisions of the HCS. Under this example, it is essential that OSHA establish through employee interviews that the worker did in fact repeatedly clean sinks throughout his or her workshift in a manner that any reasonable person would agree resulted in exposures significantly greater than those of a consumer. This evidence would be used to rebut the employer's potential offer of proof that his or her employees used the hazardous cleanser in a manner similar to that of a normal consumer. While we agree that clear lines delineating when the HCS applies and when it would not apply may be difficult to define for all workplace situations and depends on specific workplace conditions, the intent of the HCS, to provide employees information on hazardous chemicals they work with, is clear. We hope this discussion will be useful to you in this pending case and in future situations.